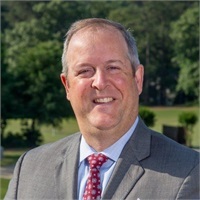 Mike Mungenast | Vision Financial Group, Inc.
Mike is a 1986 graduate of Auburn University where he graduated with a BSBA in Accounting. He joined Coopers and Lybrand, a Big Eight accounting firm, where he obtained his CPA license in 1988 and worked in the firm’s audit and litigation consulting practices. In 1988 Mike was one of 50 associates in the nation to receive the Living the C&L Commitment Award. In 1991 Mike left public accounting and joined RaceRunners, a non-profit, nondenominational discipleship ministry where he led discipleship groups, taught courses on biblical personal money management and was Vice President of Administration for the ministry. In 1994 Mike joined Dover International, a provider of consulting, training, and outsourcing services to various broker-dealer channels, where he held positions as Partner, CFO and Treasurer until he joined ProEquities , in 1999. He has served as Finance Chair and Board Chair for the Financial Services Institute, an advocacy organization for over 37,000 independent Financial Advisors and has served the Board since 2008. He has also served the industry as a representative on the FINRA District 5 Committee. He is active in the community, having coached softball and baseball for his two teenage children (Anna and Joseph). He currently serves on the Board of Directors of Junior Achievement and on the Board of Directors of Briarwood Christian School. Mike and his wife Dana have been married since 1995 and attend Briarwood Presbyterian Church where he serves as an elder. His hobbies include hunting, traveling with his family and friends, and attending Auburn football games. Please be advised that Mike Mungenast presently holds Series 7, 63, and 65 licenses and is registered in the states of AL, GA, FL, LA, ME, MI, MS, NC, NM, NV, SC, TN, TX, and VA. For residents of other states, proper licenses and registrations must be obtained by Mr. Anderson before proceeding further.